Many thanks for this response. You truly are something else! 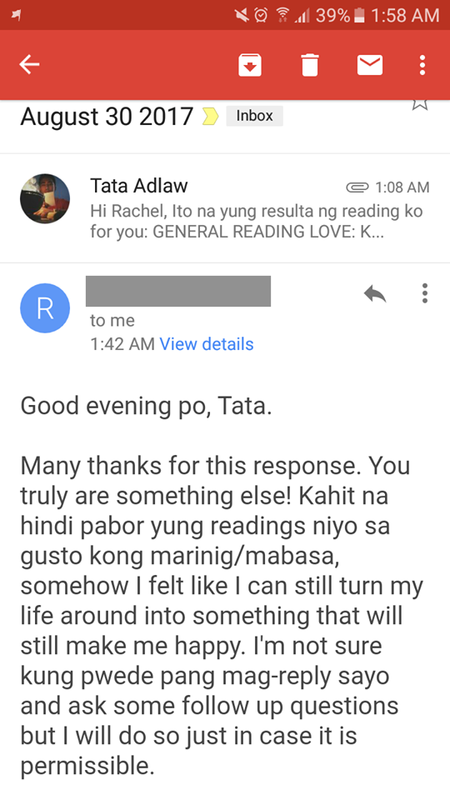 Kahit na hindi pabor yung readings niyo sa gusto kong marinig/mabasa, somehow I felt like I can still turn my life around into something that will still make me happy. 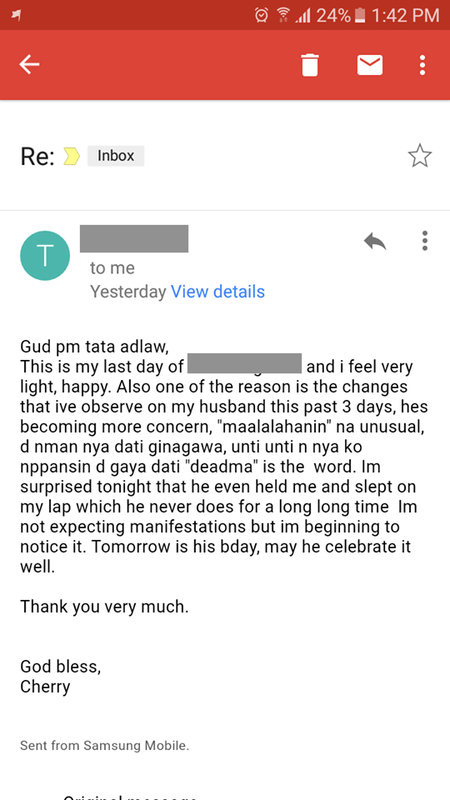 My husband is becoming more concern, "maalalahanin" na unusual, 'di nman niya dati ginagawa, unti unti na niya ko napapansin 'di gaya dati "deadma" is the word. I'm surprised tonight that he even held me and slept on my lap which he never does for a long long time. I'm not expecting manifestations but im beginning to notice it. Thank you very much. Ilang days ko po siyang hindi kinausap kagaya ng sabi niyo, sinunod ko po kayo na hayaan ko siya na mauna. 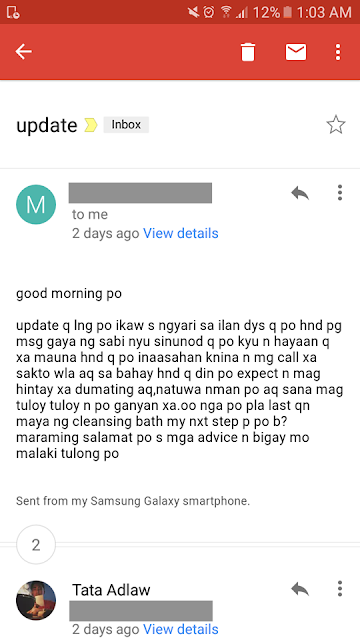 Hindi ko po inaasahan kanina na mag-call siya sakto wala ako sa bahay. Hindi ko din po inexpect na maghihintay siyang dumating ako. 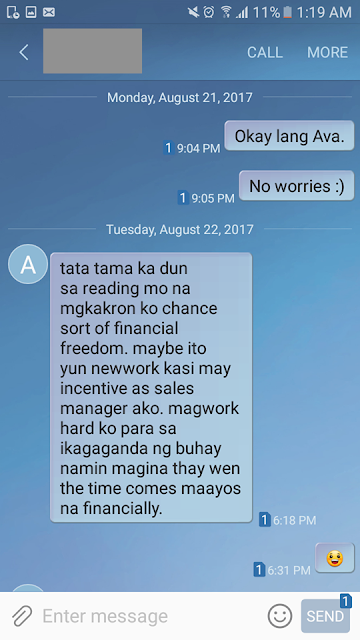 Natuwa naman po ako. Sana magtuloy tuloy na pong ganyan siya. Maraming salamat po sa mga advice na binigay mo, malaking tulong po. When I first started on this path, I was full of fear because of the articles I read about Exu and Pombagira. A lot of these writings associate them to the devil because of the belief that they fuel human desires. Instead of believing this at face value, I chose to seek the truth about this path. I didn’t let my initial fear get in my way. There were times before that I wanted to give up because of the series misfortunes I was going through. But deep inside me, there’s a force telling me not to quit, that all of this was just a test. I asked my higher self to guide me on this journey and reveal to me the mysteries of Kimbanda. And after five years of incorporating Kimbanda in my spiritual workings, I gained a better understanding of this spiritual path. Today, I am going to share a few lessons I learned. 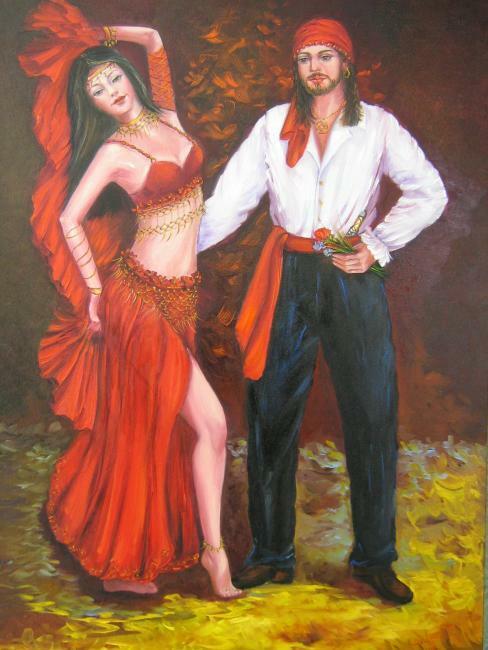 Exu and Pombagira: Who Are They? Exus and Pombagiras are the reflection of our personalities. Therefore, if your heart is pure, rest assured that they will teach you how to do miracles to help you improve yourself and the quality of your life. 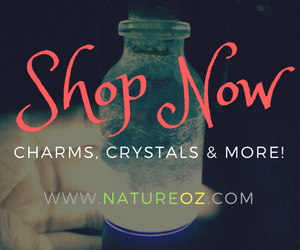 They will remove the blockages from your path and open the doors of good opportunities to manifest your heart’s desires. But if you use this power to cause destruction around you, their fire will definitely destroy you. If they fuel human desire, does this mean that we can seek their help to get even with someone? In this case, we can only ask them to get the justice we deserve. Yes, they do fuel human desires. But this does not mean that they tolerate wrong doings. They, too, comply with the law of karma and maintain the cosmic balance. Respect is very important for Exus and Pombagiras. If you invite them into your life, treat them as if they were human beings. Treat them with respect and you’ll gain their trust and loyalty. Spirit possession is not a must in Kimbanda. You are not allowed to do this if you are not initiated in this path. If you insist to do this out of curiosity or stubbornness, again, be ready to be consumed by their fire. I know a lot of people who entered the realm of Kimbanda but didn’t continue the practice. Through their experience, I saw the destruction that this path can cause to people who only use the fire for their selfish motives. So if you are thinking of walking on this fire, ask yourself first why you want to do so. Don’t just believe everything your read in books, articles your read in the Internet, or the possession of the mediums you watch on YouTube. Most of these are misleading because a true Kimbandero will never readily reveal the true secrets of Kimbanda to just anyone. And most importantly, seek guidance from a Tata or a Yaya who is willing to teach you the basics. I am lucky enough to have met several Tatas (high priests of Kimbanda) who guided me on this path when I was starting in this practice. And I am also grateful to Exu Capa Preta, Pombagira Dama da Noite and Exu Tiriri who never refuse to give me good advice and help me whenever I need them. 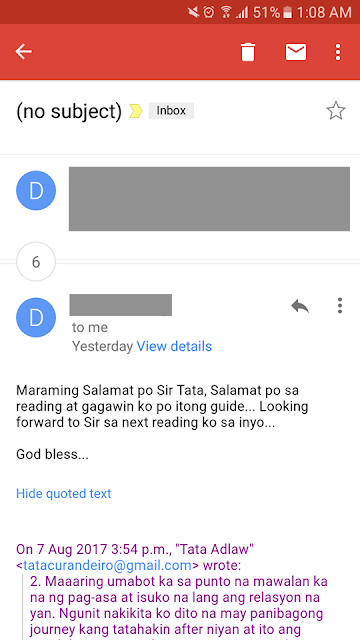 Maraming Salamat po Sir Tata sa reading at gagawin ko po itong guide. Looking forward sa next reading ko sa inyo. God bless.